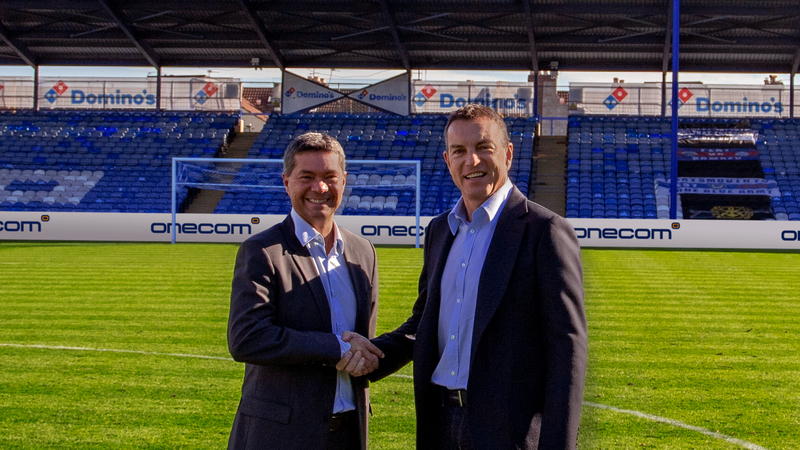 Hampshire-based telecommunications provider Onecom has signed a five-year contract with Portsmouth Football Club as the club’s Official Telecoms Partner. Onecom is the UK’s largest independent business telecoms provider, managing more than 325,000 mobile connections and delivering communication services including fixed line, mobile, broadband and cloud computing services around the UK and employs over 400 staff nationwide. The sponsorship investment will see Onecom provide the Club with the latest technologies in business communications infrastructure, helping to achieve significant improvements to efficiency at Fratton Park.